Patrick Carl Cheeseman, who would later be known as Patrick Wymark, was born in Cleethorpes on July 11 1926, but brought up in neighbouring Carr Lane, Grimsby. His father ran a shop specialising in Church art, and at one stage Patrick thought of becoming a priest. The whole family was interested in the stage. His mother, Maria Cheeseman, directed many plays for the local Caxton Players while his father Tom Cheeseman produced stage sets which journalist Frank Whitmarsh called, "little miracles of imaginative use of space and good workmanship." 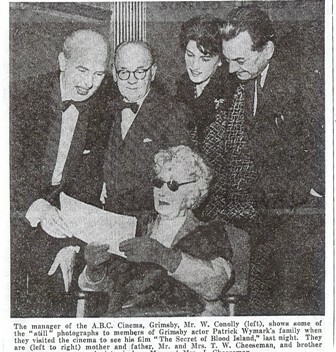 Above Right: Bill Conolly, manager of the ABC Grimsby, shows stills from "The Secret of Blood Island to the father, mother, sister-in-law and brother of Patrick Wymark . Patrick Cheeseman attended St Mary's Cathoic School and the old Wintringham Boys Grammar School in Eleanor Street, Grimsby. An early photo exists of him acting as scorer for the First Eleven Cricket Team in 1939. According to one of the team, William Cole, "young Cheeseman always had plenty to say for himself and was very cheeky to his seniors." Writing in 1970, old schoolfriend Charles Eckberg recalled Pat Cheeseman "as a youngster lapping up Beethoven and his beloved Richard Strauss, " but also, "in shirt sleeves singing "The Red Flag" to my shaky piano accompaniment." "When I was a pupil at Wintringham Boys' Grammar School, I was awarded a scholarship and told I would receive three hundred pounds a year from the council," he later recalled,"However, I was then called up into the Navy, and when I came out I received a university grant from the Government. 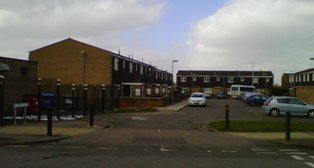 Nobody gave me the reason for this, but I still reckon I am owed nine hundred pounds by Grimsby Town Council." ( this last observation was a joke, as Wymark was trying to convince the Council to fund a civic theatre in Grimsby). Professor John Lawlor recalled that Wymark had confided one beneficial legacy of his time as a Midshipman inthe Mediterranean. "The 'Wilder Walk' (a frustrated pacing up and down with scowling concentration) was learned during National Service on the bridges of HM Minesweepers,'Trying to look as if I had the faintest idea what was going on'!" On leaving the Navy, he attended University College, London, to study English Literature, and became a leading light of the drama society. During his vacation he returned to Grimsby in September 1950 to direct the Caxton Players in a production of Pirandello's Six Characters in Search of An Author. In 1951, he was recruited by a group of recent UCL graduates into the "Barrow Poets" group. The group proposed to sell poetry from street barrows during the Festival of London. When London County Council refused them a license, the Brewers Society offered them a circuit of pubs on the South Bank at which they could perform poetry. In the same year, Wymark dropped out of University College to join the Old Vic Theatre School.He made his first professional stage appearance that year in a walk-on part in Othello and also appeared in the Theatre School's production of The Comedy of Errors. From 1951, he graduated to the Old Vic, appearing in The Other Heart and Murder in the Cathedral. He toured South Africa the following year, before spending two years directing plays as "artist in residence" at the drama department at Stanford University, California. In 1953,he married Olwen Buck, who he had met two years earlier as a student at University College, London. Although born in Oakland, California in 1932, she was the granddaughter (on her mother's side) of William Wymark Jacobs (author of "The Monkey's Paw"). Their daughter Jane Wymark told the Daily Mail in 2006, "My father changed his professional name to Wymark, a family name on my mother's side, because he thought it sounded more suitable." In 1954, he was one of three guest directors at the San Diego National Shakespeare Festival. Student participants at the Old Globe (a reproduction of Shakespeare's Globe Theatre) were scholarship winners selected on the basis of talent. Among them was Dennis Hopper, playing Sebastian in Twelfth Night. Gretchen Gray, who played Olivia in the same production, recalled that Wymark's method of directing, ".. was to portray every role, male and female, which he could do with aplomb, spittle flying as he enunciated each word 'trippingly on the tongue'. He grew increasingly frustrated as he shouted over and over "Woman, Dennis, not woe-man." Patrick would say woman and Dennis would say woe-man. Finally, in a fit, Patrick stomped on the floor of the stage:"See this stage floor Dennis! What is it made of?" "Wood", replied Dennis. "That's right! Wood! Now say woman!" "
In 1955 he joined what would become the Royal Shakespeare Company at the Shakespeare Memorial Theatre, Stratford-upon-Avon. Less than ten years later, it was the role of John Wilder in television's "The Plane Makers" and "The Power Game" which made his fortune. Patrick Wymark was in the first wave of actors made into household names by television. A 1967 article on the celebrities most sought to open Summer Fetes noted the fees of David Frost (£400), Eamonn Andrews and Jimmy Saville, and added that, "Patrick Wymark and Patrick McNee are often asked for." Wymark was also the first actor to be given a "golden handcuff" deal by ITV, which agreed to cast him in a series of unconnected plays when he tired of "The Power Game" in 1968. To read about his THEATRE career go here, to read about his FILM career go here, to read about his TELEVISION career go here. In 1967 with ITV franchises up for offer, Wymark joined Johnny Speight and Harry Secombe advising one of the groups bidding for the Yorkshire Television franchise on production policy( this may have given rise to the urban myth that Wymark was invited to sit on the board of companies following his success in the role of Sir John Wilder). "He had spent the afternoon looking up old friends and talking to them over a glass of beer in a working men's club." In June 1970, Neville Nisse reported that, "Patrick Wymark is likeable and intelligent. What he enjoys most when he is not working is going down to his 'local' to meet his pals for a drink and a chat. " Producer Gerry Anderson recalled, "He was a gentle, friendly man and a bloody good actor. But he was a terrible drinker." Charles Vance (who directed Wymark in the abortive 'Harvey' at the Devonshire Park Theatre, Eastbourne) described his intake of alcohol as "absolutely awesome". As Ian Richardson said, of the Royal Shakespeare Company, "its much more puritanical now than it was then. We used to go to a pub called The Black Swan, but we always called it 'The Dirty Duck', and they had a special dispensation to stay open late for the actors, and I can remember Peter O’Toole and Patrick Wymark and Dinsdale Landen. We all tumbled into The Dirty Duck after the performance, and rolled out about an hour and a half later! [Laughter]"
Director Ron Francis recalls, "I first met Pat around the late sixties when I was a senior cameraman at ATV Elstree when he was doing 'Plane Makers'. He lived in Hampstead near me and we used the same pub seeing each other socially as well as professionally. In those pre-breathalyser days I would frequently give him a lift home after a lock-in. He was very keen on Beethoven and we'd often sit with a bottle of wine listening to recordings in his place." Of his success, Wymark said, "Strangely enough as income rises the cost of living seems to rise with it. I'm very fortunate, though, I can feed and clothe my children. I can bring them up well. I hope. But what more does one want than three good meals a day, and a comfortable bed?" 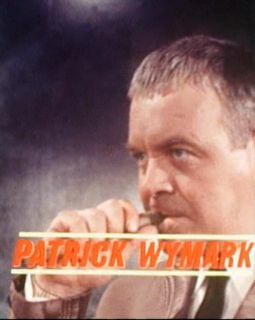 In contrast to John Wilder, Patrick Wymark described himself as impractical. Ron Francis recalls that,"Pat wasn't one of nature's car drivers. He told me that, on his way home from Elstree, he was stopped by a police motorcyclist who felt that Pat had taken a corner badly. When the officer recognised him he asked for an autograph and sent Pat on his way. Except that Pat had left the steering on a right hand lock and as he drove off knocked the parked police bike over. Soon after that Pat employed a driver"
Patrick Wymark often returned to Grimsby to see his parents, and also took part in the cultural life of the town. In April 1965, he met with members of the town council at a reception and offered to help launch a Civic Theatre if the council would raise the funds. A special committee was set up by the council although it soon floundered. On Sunday 4th June 1967 he returned to open St Stephens' new church hall and in 1969, he narrated a Son et Lumiere at Thornton Curtis. Ron Francis recalls that at the height of his TV fame, Wymark was seeing a show at the Palladium with his daughter Jane and at the interval, rushed to the bar to try and get a drink before being recongised. But "he was confronted with a guy saying 'You're Matt Monro aren't you, lets have your autograph'. " In The Singer's Singer: The Life and Music of Matt Monro by Michele Monro, a chapter called The Power Game elaborates on this confusion with Matt Munro doing an impersonation of Wymark during his show at London's Talk of the Town. This leads to (and includes a photo of) Monro playing Wilder in a spoof of The Power Game for the BBC's 1968 Dave Allen Show. Wymark lived life to the full and unfortunately this may have contributed to a health crisis while preparing to perform at Eastbourne in 1969. 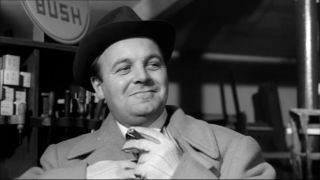 Patrick Wymark died of a heart attack in Melbourne, Australia on 20 October 1970 ,three days before he was due to star in Sleuth at the Comedy Theatre, Melbourne. "He was quite without 'side' or any inflated opinion of himself," said Frank Whitmarsh in October 1970, "He was an extremely good actor, in whom inborn talent had been developed by good training and plain hard work. As an actor he was too good to be squashed into the sardine tin of one part." Professor John Lawlor recalled that, "His friends are to be found in every walk of life and to all of them he was passionately loyal. However long the interval, one took up at just the point where one had left off and his unerring memory for one's views was matched only by his warm appreciation of anything he thought based on common sense." Childhood friend Charles Eckberg summed up in October 1970 by saying,"Most of all, I will think of him as a deeply sincere friend ...a man who really honoured his father and his mother, and a man who lived his life as it should have been lived."